Military surplus items or other military-related items that you can find in both online and retail stores, such as military-related backpacks, blankets, canteens, clothing, foot lockers, hats, helmets, non-restricted instruments and tools, and so on. Some parts and accessories for antiquated military vehicles or equipment that don't have explosive capabilities. Replica military ordnance that was never actual ordnance, such as a replica firearm or explosive. The import and export of certain items and information is strictly regulated by US federal law and regulations. 'Military items', as described within this policy, include those which are specifically or otherwise identified on the U.S. Munitions List (USML) found in Part 121 of the ITAR. Before listing any military items on eBay, check the USML to see if your item is covered by Part 121. The item is listed on the US eBay website (eBay.com). In order to comply with US export trade laws and regulations, you must be a US citizen or permanent resident of the US to bid on or buy these types of military items. These items can only be bid on or bought if the buyer intends to use the item for personal use only and has no intention of exporting the item outside of the US. Meals, Ready to Eat (MREs) that don't include a heating device, have a clearly marked expiration date, must be delivered to the buyer before they expire. For more information, see our food and healthcare items policy. Level I, II, or III body armor or Small Arms Protection Insert (SAPI) plates, as long as you indicate the specific level in your listing. Find out more about our requirements to list body armor in the below. Military ordnance such as weapons, ammunition, and their related parts—even if the items are considered demilitarized, demilled, rendered inert, or unserviceable. We can't confirm whether an item has been changed in such a way that makes it safe and legal to sell or transport. 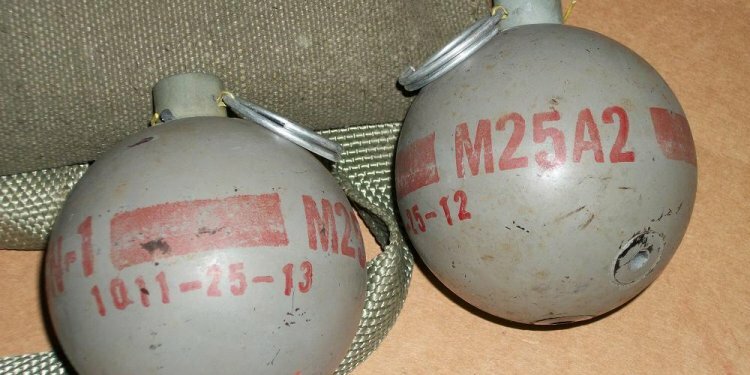 Grenades such as metal military practice grenades, rifle grenades, propelled grenades, dummy grenades, inert grenades (including relics, curios, memorabilia, novelty, or display items), grenade launchers, grenade launcher attachments, and mines. See our firearms, weapons, and knives policy. Military police uniforms or any part of the uniform (such as badges, patches, armbands, and so on) that designates someone as a police officer from any branch of the US military. See our police-related items policy. The US government makes a distinction between "defense articles" that are specifically developed, configured, or adapted for military applications and "dual-use" items that have both military and civilian applications. Defense articles are regulated for export by the US Department of State's Directorate of Defense Trade Controls while dual-use items are regulated for export by the US Department of Commerce. In general, items not regulated by the ITAR are regulated under the Department of Commerce's Export Administration Regulations (EAR). While they may be sold on eBay, certain categories of items require export licenses depending on the ultimate country of destination because of their potential nuclear, missile, and defense/security applications. Examples of such dual-use items are high precision machine tools and vibration tables, generation 1 night vision, civilian riflescopes/weapon sights and electronics, such as radar, accelerometers, and gyroscopes. You can visit the Commerce Control List and Country Chart to find out if an export license is required. Before listing military items on eBay, please review the information in the International Trade in Arms Regulations (ITAR) Part 121. This regulation restricts the import and export of certain military items and information. Along with other requirements and restrictions, ITAR requires sellers of items and information included in Part 121 who want to ship those items outside of the US to get a special license from the US Department of State. Because we can't determine whether a seller has this license, sellers can only sell items to US citizens who currently live in the US. You'll need to specify domestic shipping in your listing, and make sure you and your buyer follow all applicable laws and regulations, as well as eBay policies. Items and information covered by ITAR Part 121 that are otherwise allowed on eBay can only be listed on the US eBay site (eBay.com) by sellers registered in the US offering domestic (within the US) shipping only. ITAR Part 121 items can't be listed on other eBay sites under any circumstances. We recommend copying and pasting this disclaimer into your item description. Be sure to use the same font size as the rest of your description. Because the sale of many military items is either prohibited or highly regulated by the government, there are certain items that can't be listed on eBay and others that can only be listed for domestic sale (within the US) only. This policy is in place to make sure everyone is informed about the restrictions before listing any military items on our site.